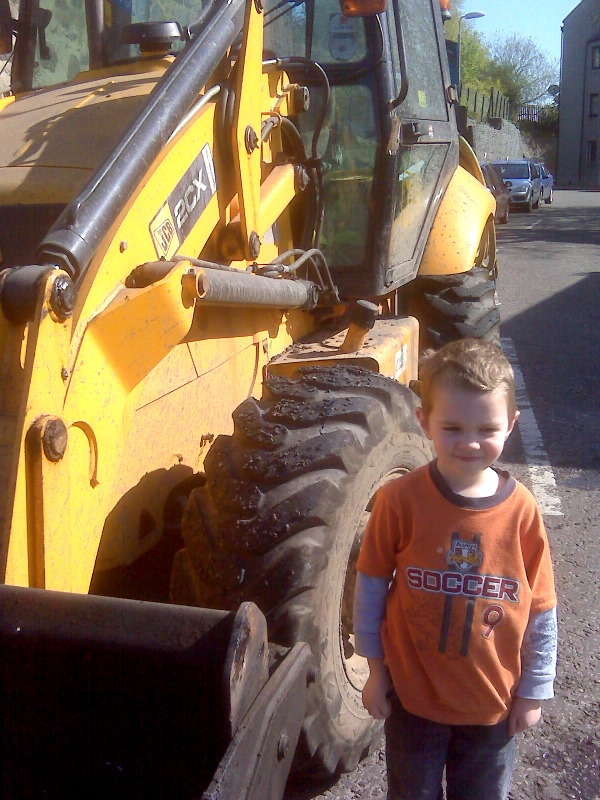 The Sumners: Life and Times: Road Works! Over the spring break, they were working on the road in front of Joshua's school. When we walked home from school yesterday (the first day back after break), they were just finishing the last patch of work. 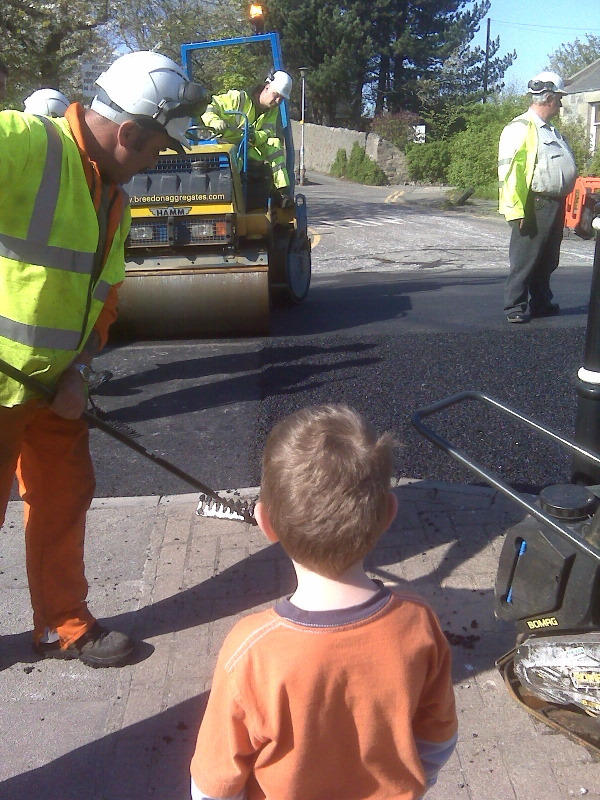 The kids were thrilled to stop and watch them paving the road. We watched the dump truck pour the rocks and tar. Then the workers shoveled and raked it into place. The most exciting part watching the big steam roller. 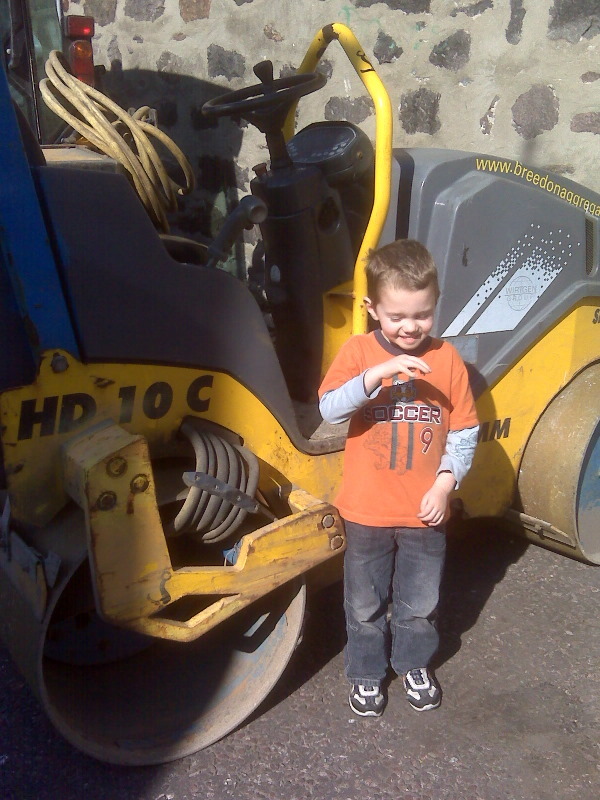 Joshua wanted a picture with the nearby, little roller. It was just a little too sunny to look at the camera. Also nearby was the big front loader. It still had rocks and tar in the bucket. Very exciting! Poor kids were disappointed that the construction equipment was all gone when we walked to school today. But, I may have seen some announcements about some other road closures. We might have to go check out the other road they are doing.